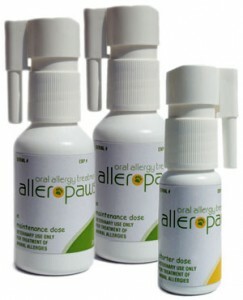 Sublingual immunother­apy (SLIT) has been used in human med­i­cine with good suc­cess for aller­gic rhini­tis and asthma. More recently ben­e­fi­cial effects have been reported for atopic der­mati­tis. An advan­tage of SLIT is ease of admin­is­tra­tion and tol­er­a­bil­ity. Lim­ited stud­ies exist in vet­eri­nary med­i­cine. The pur­pose of the present study was to eval­u­ate safety and effi­cacy of SLIT in an exper­i­men­tal model for canine atopic dermatitis. 1. Optimal dose, efficacy, and safety of once-daily sublingual immunotherapy with a 5-grass pollen tablet for seasonal allergic rhinitis. The Journal of Allergy and Clinical Immunology, Volume 120, Issue6, Pages 1338 – 1345, December 2007, Alain Didier, MD, Hans-Jörgen Malling, MD, Margitta Worm, MD, Friedrich Horak, MD, Siegfried Jäger, PhD, Armelle Montagut, PhD, Claude André, MD, Olivier de Beaumont, MD, Michel Melac, MD. 2. Specific sublingual immunotherapy in atopic dermatitis. Results of a 6-year follow-up of 35 consecutive patients. Allergol Immonopathol (Madr). 2000 Mar-Apr;28(2):54-62. Mastrandrea F, Serio G, Minelli M, Minardi A, Scarcia G, Coradduzza G, Parmiani S.
3. Sublingual immunotherapy in mite-sensitized children with atopic dermatitis: A randomized, double-blind, placebo-controlled study. The Journal of Allergy and Clinical Immunology, Volume 120, Issue 1, Pages 164-170, July 2007. Giovanni B. Pajno, MD, Lucia Caminiti, MD, Daniela Vita, MD, Giovanni Barberio, MD, Giuseppina Salzano, MD, Fortunato Lombardo, MD, Giorgio Walter Canonica, MD, Giovanni Passalacqua, MD.